An arthritis patient group hopes to lower cardiovascular risks in people with rheumatoid arthritis with the help of a new interactive video. 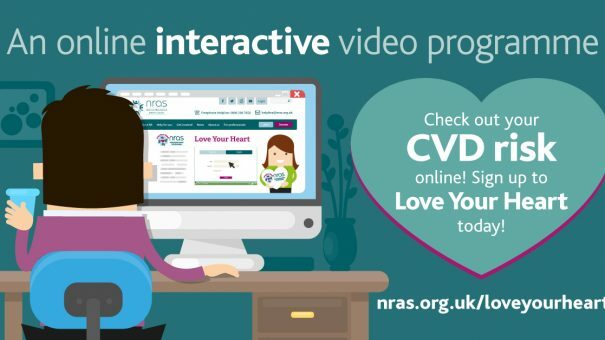 Love Your Heart is the brainchild of the UK’s National Rheumatoid Arthritis Society (NRAS), and is an educational initiative that went live on Valentine’s Day this week. Even though 400,000 people live with rheumatoid arthritis (RA) in the UK, there is a lack of public awareness. The free online video programme was developed by NRAS, consultant rheumatologist Dr Holly John, and interactive video producer Streaming Well. It gives information about why RA increases risk of cardiovascular disease, and how to predict risks based on an algorithm. Roche has signed a deal to buy Flatiron Health, a startup tech firm focused on improving cancer treatment, which was founded with backing from Google’s parent firm Alphabet. The Swiss pharma company had previously held a 12.6% stake in Flatiron, which focuses on oncology-specific electronic health record software, linking this with development of real-world evidence for cancer research. Roche said that it plans to buy the rest of Flatiron in a $1.9 billion transaction and is expected to close the deal in the first half of this year. Flatiron has a network of community oncology practices and academic medical centres across the US, which is designed to create feedback that can aid R&D. Currently, Flatiron partners with over 265 community cancer clinics, six major academic research centres and 14 out of the top 15 therapeutic oncology companies. The firm caught Roche’s eye after working with industry leaders and regulators to develop new approaches for how real-world evidence may be used in regulatory decision making, including the design and validation of novel endpoints. The New York City-based firm has also developed a suite of software products that uniquely positions the company to advance the use of real-world evidence at the point of care. Roche said that it will continue to allow Flatiron to work with existing partners – and the Swiss firm said that it would allow the digital health firm to retain its autonomy. The Finnish tech firm Nokia has announced it is considering closing or selling its troubled digital health business. In a brief statement the company said that it had begun a “strategic review” of the unit, which sells a range of products including hybrid smart watches, scales, and digital health devices, to consumers and businesses. Nokia did not give any reasons for the review – but it has been public knowledge that all is not well at the unit since late last year when the firm axed development of a high-tech but high-cost virtual reality camera that could have had applications in digital health. The former mobile phone giant set up its digital health unit in 2016 around the time it purchased the wearables firm Withings for $170 million. After “slower than expected development” of its 360 VR camera, OZO, Nokia said it was offloading around 310 of around 1090 employees working in VR. Although not designed as a health product, the potential of VR technology in digital health made Nokia confident that OZO would be successful. However, with a hefty $60,000 price tag, OZO failed to catch on and Nokia ended its development, although at the time the firm said it remained committed to digital health. But it also wrote off the $164 million value of the digital health business, setting the value of the Withings acquisition at zero. The Finnish firm faces intense competition from a growing number of tech companies that are trying to market digital health products – with Apple and Google some of the biggest firms involved. A not-for-profit organisation dedicated to encouraging life sciences R&D has launched a new tool to help companies in the sector design better apps and digital tools. The Pistoia Alliance announced it had launched the User Experience (UX) for Life Science (LS) Toolkit to improve user experience of programs in line with other global industries. Containing user experience case studies, methods and metrics, the toolkit will enable life science companies to design and implement better, more intuitive and usable digital products. The UXLS toolkit marks the culmination of a collaborative project aimed at benefiting R&D in life sciences and healthcare. It contains six case studies from organisations including Novartis, AstraZeneca, and the European Bioinformatics Institute (EMBL-EBI). There are also 10 published methods, such as interactive prototyping and usability testing, as well as principles which will assist in explaining and improving systems and processes. Issues and the benefits of UXLS for improving productivity will be discussed further at The Pistoia Alliance’s User Experience for Life Science conference on 14-15 May 2018 in Boston, Massachusetts, featuring keynote speakers from companies including Novartis. To help keep an eye on the health of this year’s Winter Olympians in Pyeongchang, South Korea, GE Healthcare has launched a digital tool providing real-time analytics on injuries and illnesses at the games. The games began a week ago and GE Healthcare has designed the tool in partnership with the International Olympic Committee. It integrates valuable information, such as athlete injury and illness data, with venue, sport and training procedures, to help ensure clinicians have a comprehensive view of a patient’s health and can make informed and rapid treatment decisions. The system will also be used at the Olympic Games in Tokyo in 2020, and will help inform long-term health and safety at forthcoming events. Called the GE Athlete Management Solution (AMS), the tool collects data including imaging scans, patient vitals, as well as information about the venue, event and sport. This is presented on a real-time dashboard that allows medical staff at the Winter Olympics to personalise treatments for athletes and identify trends in injury and illness across the games.